1.1 These terms and conditions apply to all transactions between you and redocean.co.uk. 1.3 Prices shown on this site are inclusive of VAT and cost of delivery in mainland UK and Northern Ireland. 1.4 For prices and delivery costs outside mainland UK and Northern Ireland please call a member of our sales team on 01733 261900 between 10am and 4pm Monday to Friday or email us using the contact form. 1.5 redocean.co.uk reserves the right to revise offers, prices and details at any time without notice. 1.6 We reserve the right not to supply you at our discretion. 1.7 redocean.co.uk customers who shop online must be 18 years or over. 2.1 redocean.co.uk cannot accept your order until you have paid for it in full including any delivery costs. The contract between us will not be legally binding until you have paid for the order in full and we have confirmed acceptance of your order by email to the email address entered by you on your order request. You should receive confirmation of acceptance of your order within five minutes of you placing your order. 2.2 The price you pay is the price displayed on our website unless we discover a pricing error in the goods you have ordered. If we discover such an error we will inform you as soon as possible and give you the option of either confirming your order at the correct price or cancelling it. If we are unable to contact you we will treat your order as cancelled. 2.3 redocean.co.uk only accepts Master Card, Solo, UK Maestro, Visa, Visa Debit/Delta, Visa Electron, PayPal, Google checkout and cheque payment. 3.1 We will make every effort to deliver your goods within seven days of receipt of your order. We cannot guarantee this and we will not accept responsibility if your order is delivered outside this time. If we are unable to deliver your goods within thirty days of receipt of your order we will notify you and, at your option, we will rearrange delivery, or provide a substitute item of equivalent value, or you may cancel your order in which case we will refund you the purchase price. 3.2 The majority of orders are sent via Royal Mail Recorded Delivery. At the time of delivery a valid signature is required from a member of your household who is at least 18 years old. If you are not available at the time of delivery the postman will leave you a "while you were out" card and you will be able to collect your order from your local Royal Mail depot. 3.3 Upon delivery you will become the owner of the goods you have ordered and we will not be liable for their loss or destruction. 4.1 Subject to 4.3 you may cancel your order before delivery or within seven working days after the date of delivery by sending either written notice of cancellation to redocean.co.uk, 54 Ivatt Way Business Park, Westwood, Peterborough, PE3 7PN or e-mailing us via our online contact form quoting your order reference number. We will refund you the cost of the unwanted item and any delivery charge. 4.2 If you cancel your order within seven working days after the date of delivery, you must return the unwanted item to us, unused and Sealed in its original Packing, at your expense and within thirty days of delivery. Please follow the Returns Procedure set out at condition 6 below. 5. If the item you return is faulty, incorrect or damaged on delivery to you or was supplied in substitution for the item you had originally ordered, we will refund you the cost of the item, the delivery charge and your reasonable costs in returning the item to us. We will not refund postage for any other reason other than mentioned above. Please follow the Returns Procedure set out at condition 6 below and return the item to us within thirty days of delivery. 6.2 The unwanted item must be returned in its original condition and in the original packaging. Please also ensure safe transit by wrapping it in the original delivery box or one of equivalent quality. For your own protection, we recommend that you use a recorded delivery service when returning high value items to us. 7. Any refund due to you will be made within thirty days of cancellation by the same method of payment used to complete your original purchase. 8.1 Goods are subject to availability. 8.2 Many of our goods are accessories for mobile phones, iPod’s, computers and other electrical hardware ("the original product"). Please note that if such accessories were not produced by the manufacturer of the original product your manufacturers warranty on the original product may be adversely affected. We cannot accept liability for any such adverse effect. 8.3 All images used on our website are for illustration only. If you have any specific requirements please contact us on our online contact form. 9. For your own safety, please ensure you read and follow carefully all safety instructions and manuals provided with your order. Safety instructions, labelling and packaging are the responsibility of the proprietary brand owner. Except in the case of death or personal injury, redocean.co.uk is not responsible for any inaccuracies contained therein or any damage resulting from the misuse of any such items. Notwithstanding this, we will deal with all customer complaints in good faith. 10. 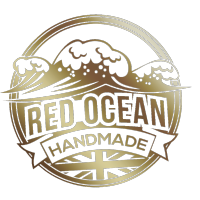 If you are unhappy about any part of your shopping experience with redocean.co.uk please tell us so that we can put it right as soon as possible. Please email us on our online contact form. We will acknowledge your complaint within five working days and all correspondence will be confidential. 11.1 redocean.co.uk reserves the right to alter these terms and conditions without notice. 11.2 redocean.co.uk reserves the right to withdraw redocean.co.uk without notice. 11.3 We cannot accept liability to you for any loss of profits, administrative inconvenience, disappointment, indirect or consequential loss or damage arising out of any problem in relation to the goods which was not within our contemplation as a probable result of the breach at the time of entering into this agreement. 11.4 We will not be liable to you where performance of any of our obligations to you is prevented, frustrated or impeded by any circumstance or cause beyond our reasonable control which will include but not be limited to acts of God, strikes or any other industrial action, war, civil commotion, acts of Government or any change in statute, order or regulation having the force of law that effects our operation or affairs. 11.5 The law of England and Wales shall apply to these terms and conditions. If any part of these terms and conditions is found to be unenforceable as a matter of law, all other parts of these terms and conditions shall not be affected and shall remain in force. 11.6.1 These terms and conditions are in addition to any statutory rights you may have as a consumer which remain unaffected and we do not exclude any liability for death or personal injury arising from our negligence or for fraudulent misrepresentation.